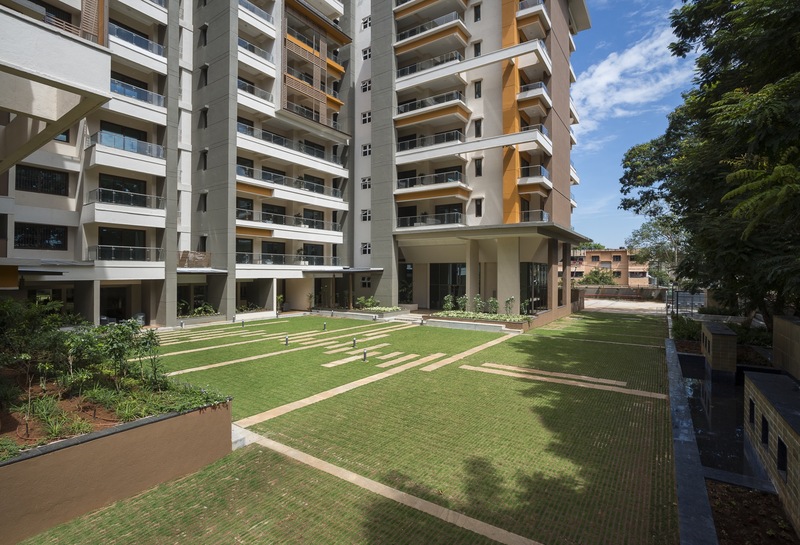 ITC Mud Fort Housing at Bengaluru, by CnT Architects - ArchitectureLive! 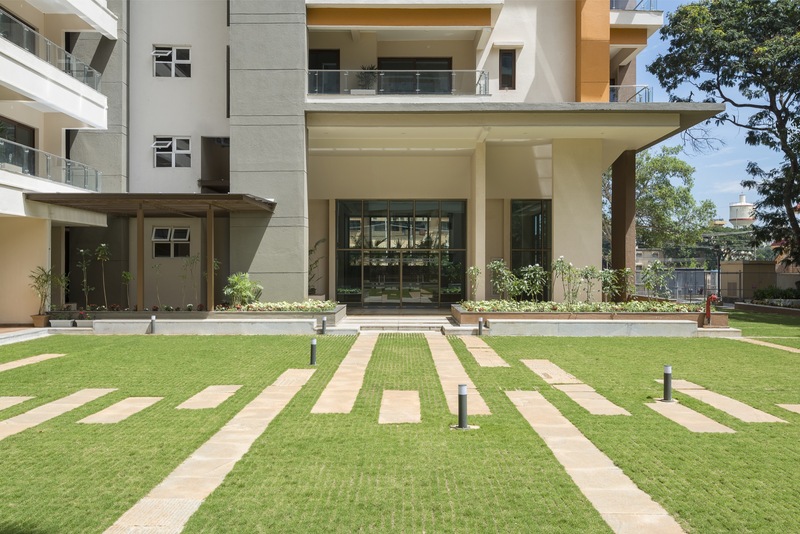 Project was to design a multi-dwelling for corporate managers on a site spread across 1.9 acres with large existing trees on periphery, and low-rise dense residential development in context. 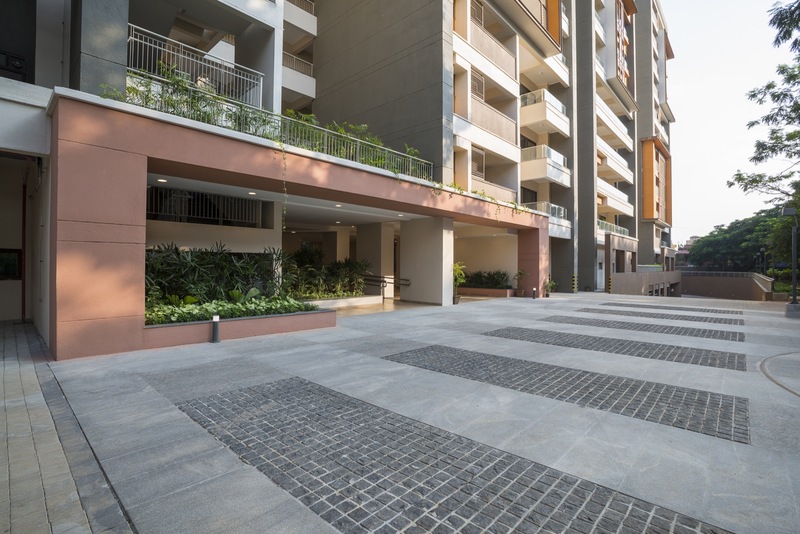 With a total of 57 units across twelve floors, the project seeks to create a landscape haven for the residents by providing refuge from the surrounding traffic and concrete jungle. 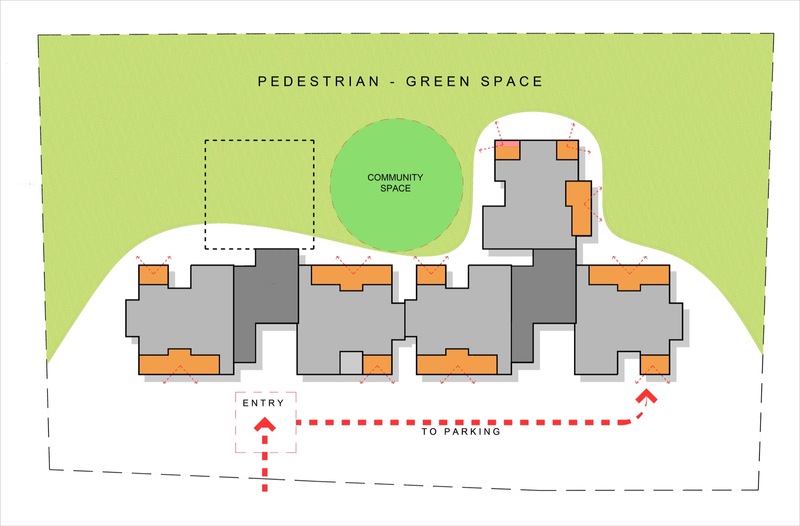 Vehicle movement is restricted onto the front of the site and a large community space is carved out onto its back, surrounded by lush trees onto which all the common amenities spill out. 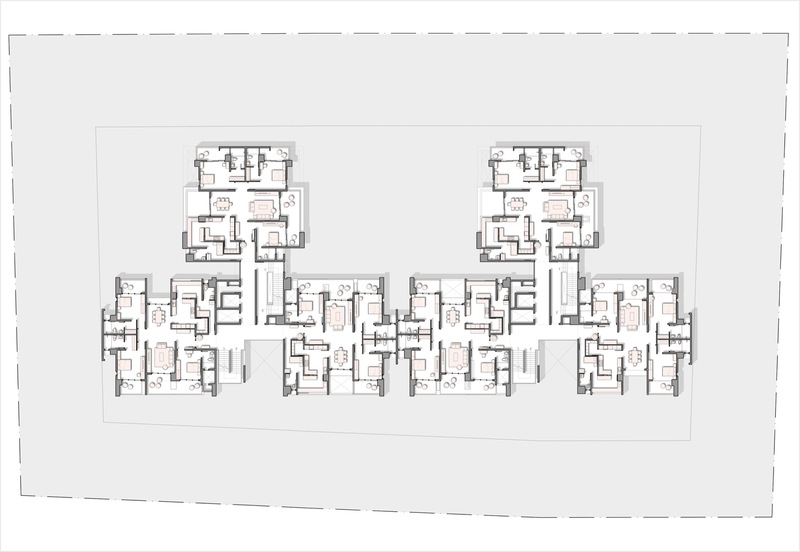 The cluster and unit layout is designed to maximize the penetration of day light into the different parts of the home, and give unrestricted views from its full-length balconies, also allowing for comfortable cross ventilation. 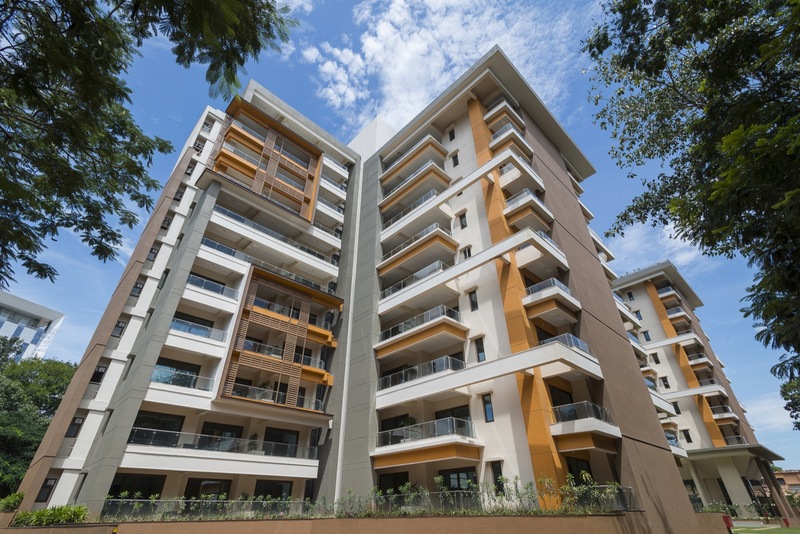 The project has adhered to strict environment, health and safety standards along with achieving a LEED platinum and GRIHA 5-star rating. 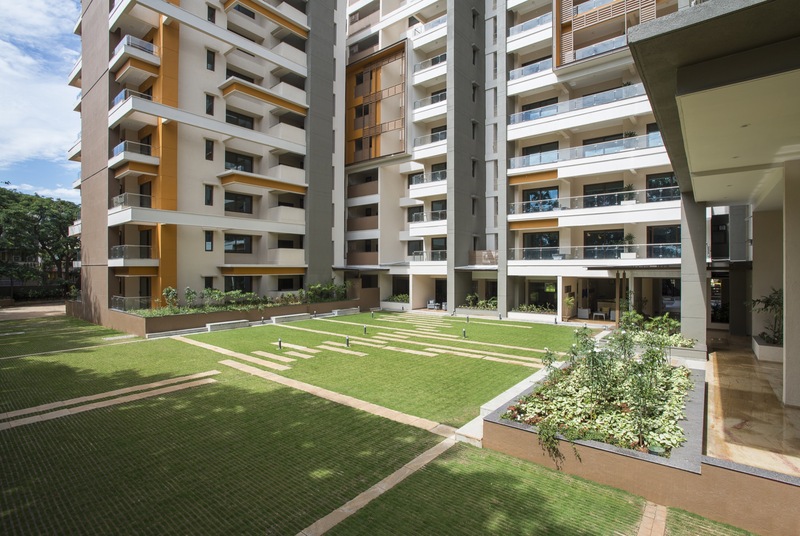 The project has also received the NDTV 2017 Award as the most Environmental Friendly Residential Space. 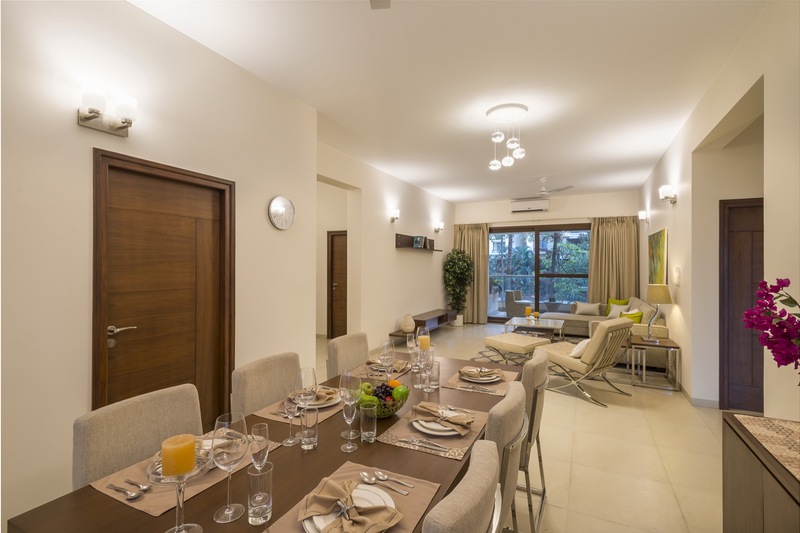 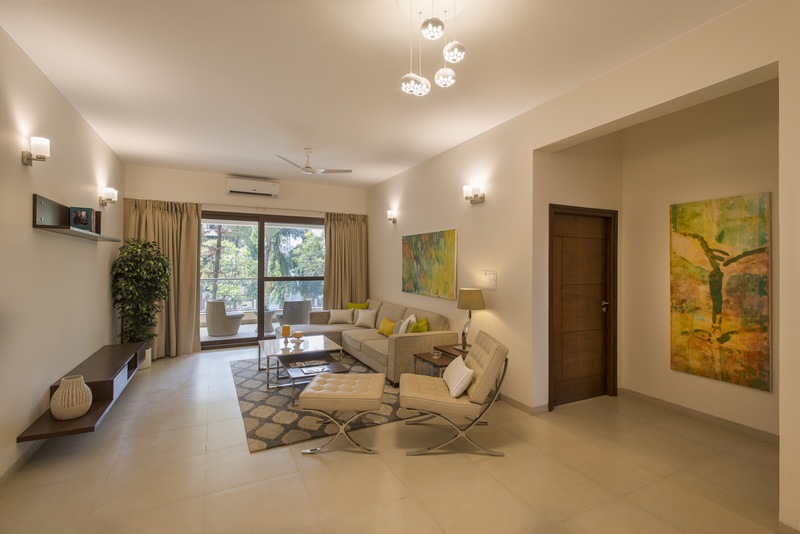 Only residential project which has achieved LEED platinum and GRIHA 5 star rating. 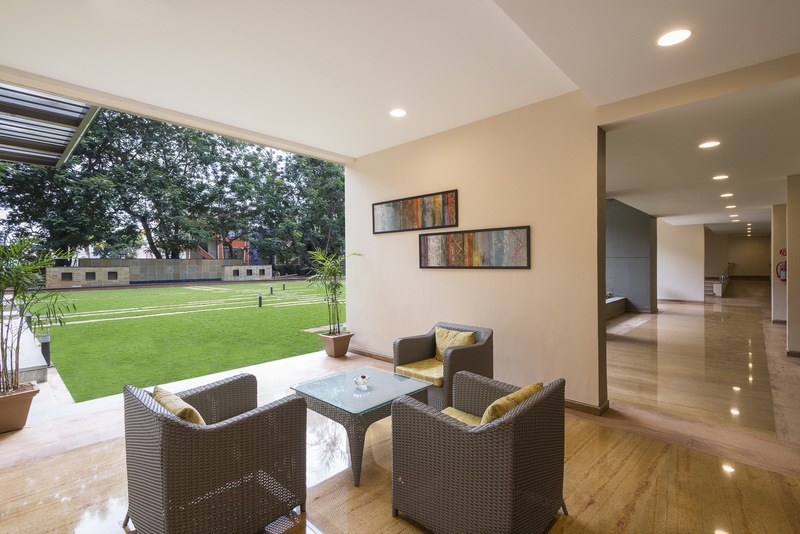 All amenities are placed at the ground floor directly engaging the landscape with many open and semi open public spaces. 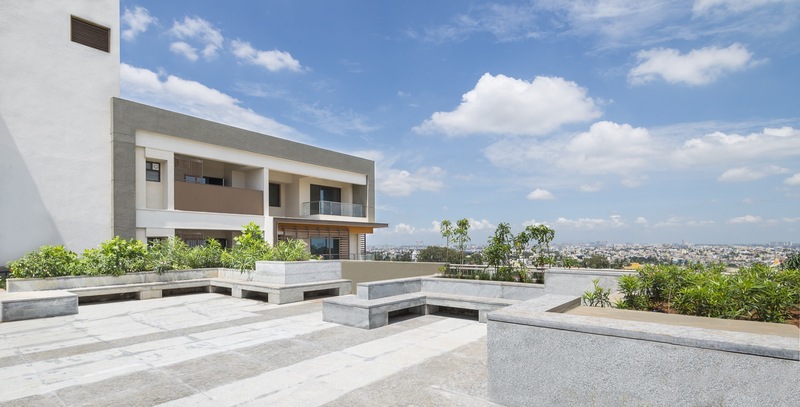 All large existing trees on the periphery of the site as preserved to enhance the experience. 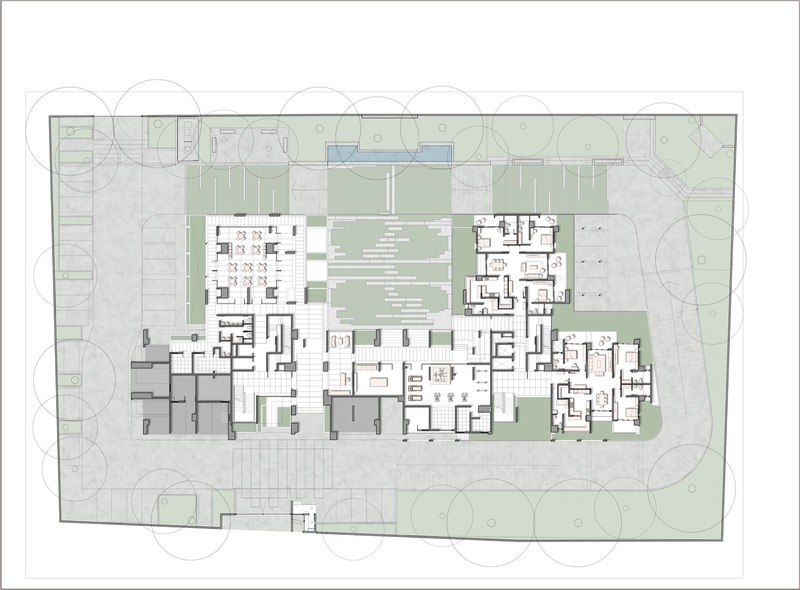 All the units are opening on three sides for light and ventilation. 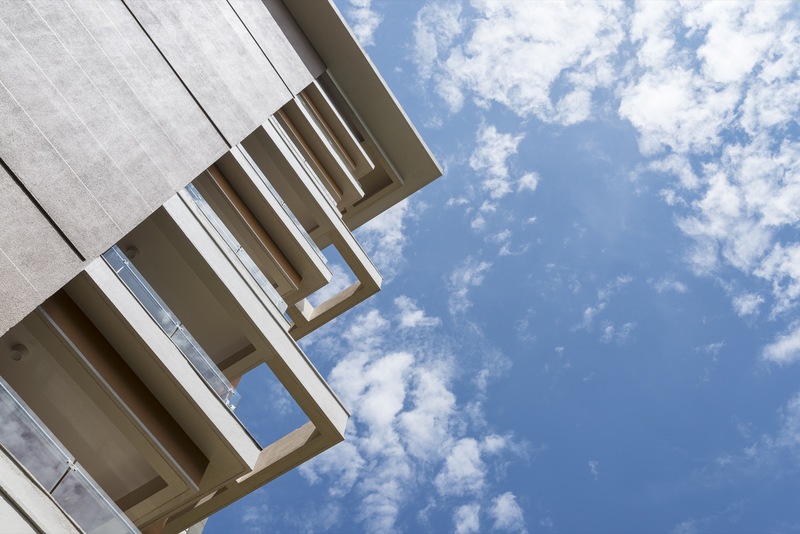 All spaces are designed with cross ventilations. 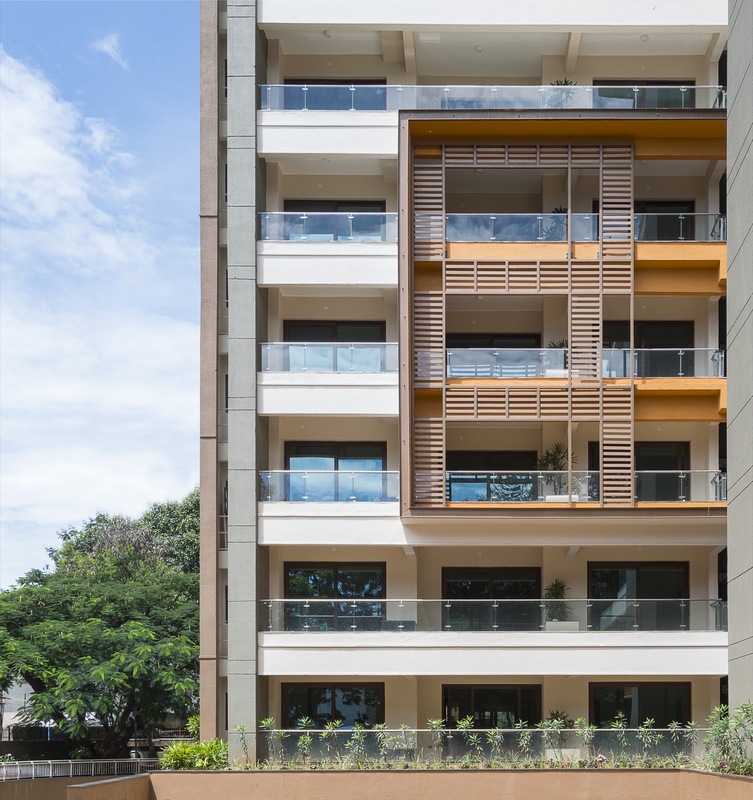 Large balconies are designed to create better social space and relation to natural elements while in the unit.